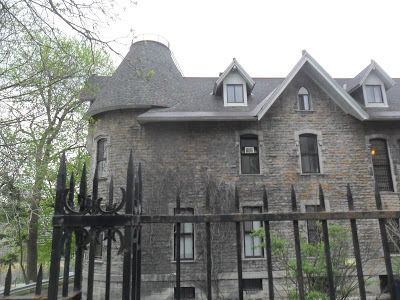 Welcome to the second installment of the Haunted Montreal Blog! Released on the 13th of every month, the blog aims to deliver a new Montreal ghost story every month along with company news. The June edition focuses on research we are carrying out into Duggan House. One of the many haunted buildings peppering the McGill University campus, Duggan House is known as a sometimes disturbing place for education students. We are also pleased to announce that our public season is now in full swing and private bookings are also available for both Haunted Downtown Montreal and Haunted Mountain. We have also created a Tripadvisor page to enable our clients to provide feedback and reviews of Haunted Montreal’s ghost tours. Perched at the very top of McTavish Street is Duggan House, a creepy, Gothic mansion. Nestled into Mount Royal, the shadowy estate is currently owned by McGill University. It is one of the oldest buildings on campus. Built in 1861, using grey, hand-cut limestone that was recycled from Simon McTavish’s haunted castle, Duggan House brings a whole new meaning to the expression “school spirit”. The building is currently used by the Department of Education. At some point during the 1990s, a female Graduate student had a terrifying encounter in Duggan House. She was scheduled to have an important academic meeting her professor in the large foyer of the building. When she entered, she found him in a plush chair, awaiting her. The student sat down opposite him, put her purse on the ground to the right of her, and flipped open her notebook. She was in the process of explaining some new avenues of research, when suddenly she froze and stopped speaking. Her mouth agape, she stared at the shadowy, spiral staircase to the left behind the professor. The student appeared to be in a state of panic and started pointing at the staircase and screaming. She witnessed the ghostly specter of a woman, clad in a 19th Century petticoat, who materialized on top the spiral staircase and then begin descending into the foyer. The girl was now shrieking hysterically, causing the professor to panic. He immediately spun his chair around to see the imminent danger that was terrorizing his student. There was nothing there. All of a sudden, they both heard a rattling noise at the window, as though someone had thrown something at the Venetian blinds. The blinds shifted about violently, causing both student and professor to jump up from their chairs. At that moment the student realized that her purse was missing; she began to hyperventilate. As the blinds slowly stopped swinging, the noises stopped. As the professor tried to calm down his distraught student, he looked up towards the window. Her purse was dangling in the Venetian blinds, all tangled up in knots.Other strange phenomena also occur in the Duggan House, such as the sounds mysterious footsteps or the fact that objects are often displaced or go missing. While nobody is certain exactly who or what is haunting Duggan House, there is a lot of speculation. Some journalists have suggested that perhaps the building is haunted by the infamous ghost of Simon McTavish. Others believe that a worker, who fell three stories to his death while demolishing the castle in 1861, haunts the site. Duggan House was also built from the recycled stones of McTavish’s haunted castle, on the same cursed land, lending credence to a theory that Duggan House is haunted because of its location and building materials. Built originally for Orrin S. Wood of the Montreal Telegraphy Company, Duggan House was based on blueprints drafted by architect Andrew B. Taft. The Gothic mansion was originally named Braehead, and it passed through the hands of many prominent families. Orrin S. Wood, Charles D. Proctor, Matthew Hamilton Gault, and George Herrick Duggan all raised families in the house. It was also used as a home for convalescing soldiers from 1911 to 1929. 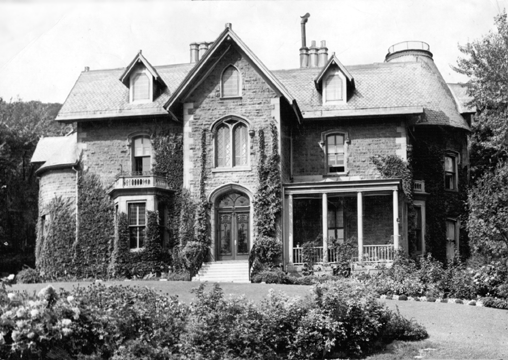 In 1944, George Herrick Duggan gifted the property to McGill University on condition that he could stay until his death, which occurred inside the mansion in 1946. Another theory relates to a mysterious tunnel connecting Duggan House and Purvis Hall to the West. During the 1940s, McGill’s Faculty of Commerce was using both buildings for classes and wanted to ensure ease of movement so they constructed the tunnel in 1946. 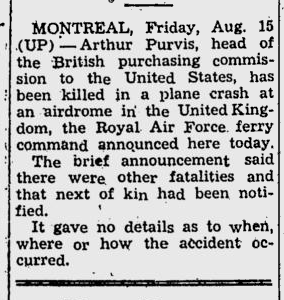 The problem is that Purvis Hall is also rumoured to be haunted, in this case by aviator Arthur B. Purvis, who died tragically in a plane crash in 1941. Some students whisper about ghosts using the tunnel, traversing between the mysterious estates, for reasons unknown. Indeed, apparently the Faculty of Commerce moved out in 1977 partly because the business students were unhappy with the haunted facilities. Duggan House was passed to the Faculty of Education, who have occupied the creepy mansion ever since. 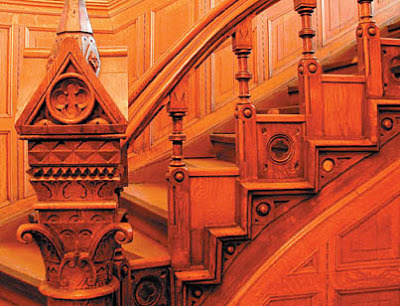 While many of the theories suggest the place is haunted by the ghost of a man, none of them explain why a ghostly woman might appear on the spiral staircase. Perhaps a more feasible explanation might be centered around Elizabeth Joanna Bourne, the wife of politician Matthew Hamilton Gault. She raised 16 children in the home, starting in 1868. Mothering so many children during the era was a very difficult task, even with the help of servants. Five of the Gault children died in infancy, no doubt traumatizing their mother. The first four were all male and they all perished as infants. However, the last child to die was a little 8 year old girl named Beatrice Frederika Baldwin Gault. When Beatrice died in 1880, her mother, Elizabeth, was said to have become unhinged, unable to deal with the tragedy. 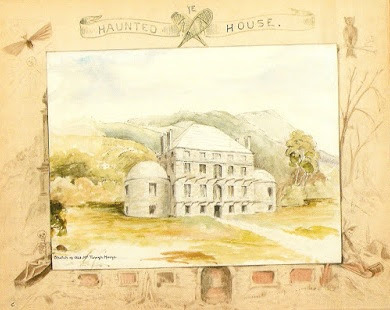 Could the ghost who appears on the stairs be the spectre of Elizabeth Joanna Bourne, who died in 1908, still tending to her lost children in a paranormal afterlife? Nowadays, it is not future business leaders being terrified by ghosts, but rather aspiring teachers. 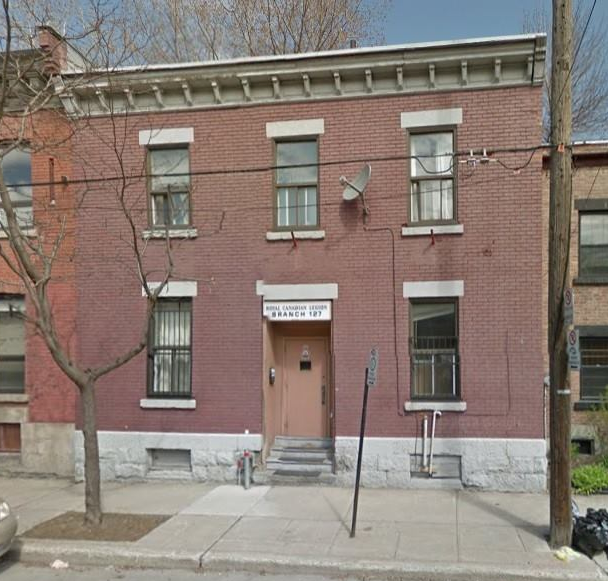 McGill Education students are usually known for their enthusiasm, however those studying in Duggan House quickly learn an opposite meaning for the term “school spirit” – one that doesn’t bring about a sense of warmth and solidarity, but rather feelings of fear and panic. Firstly, Haunted Montreal is very pleased to announce that we now have a Tripadvisor page! As a company that strives for excellence, we welcome positive feedback from our clients and invite them to write a review of one of our ghost tours! Secondly, Haunted Montreal’s public season is in full swing offers and ghost tours are available to private groups! Haunted Montreal supports authenticity in the arts and rejects corporate models that exploit artists and audiences. As such, Haunted Montreal is proud to be a part of the Infringement Festival and we encourage our readers to check out some of the other performances during the fest, running June 17 – 21 in Montreal! Coming up on July 13th: Hauntings in the Point Saint Charles Legion. 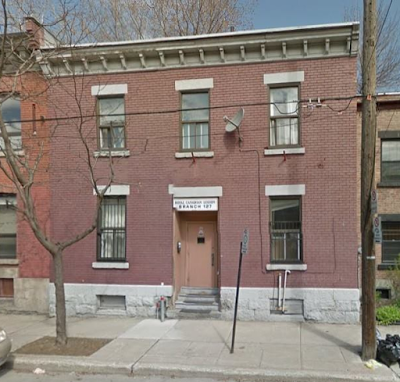 This inconspicuous branch of the Canadian Royal Legion, located at 543 rue Sainte-Madeleine, is known by employees and locals to be haunted. Groups such as “Ghosts and Stories of Point St Charles” (Facebook) discuss the hauntings feverishly and Legion employees, such as the bartender, sometimes regale visitors with tales of their paranormal experiences.